The Team - Richard, Proprietor along with Jan and Sarah who are both highly experienced having both owned their own florists before joining Eden. 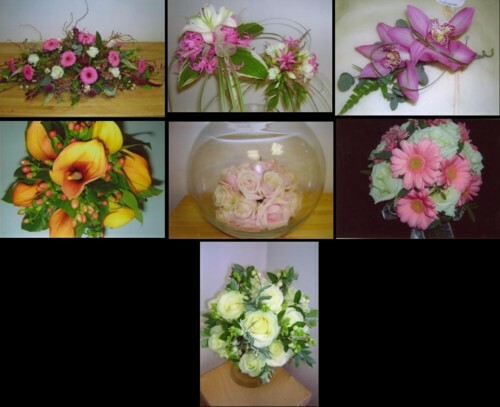 Now in our 8th successful year, Eden Bespoke Flowers opened with an aim - To supply beautiful, original flowers. The designs were to be stylish, wonderfully presented, individually created for the recipient - hence ''bespoke'' and equally important - affordable! For special orders, we usually prefer a couple of days notice to enable us to source the flowers and create something just for you. We do not provide on-line ordering as we much prefer to speak personally to our customers to enable us to create an original arrangement appropriate for the recipient. As wedding specialists we delight in providing stunning flowers in the style of YOUR choice and are, therefore, very flexible.